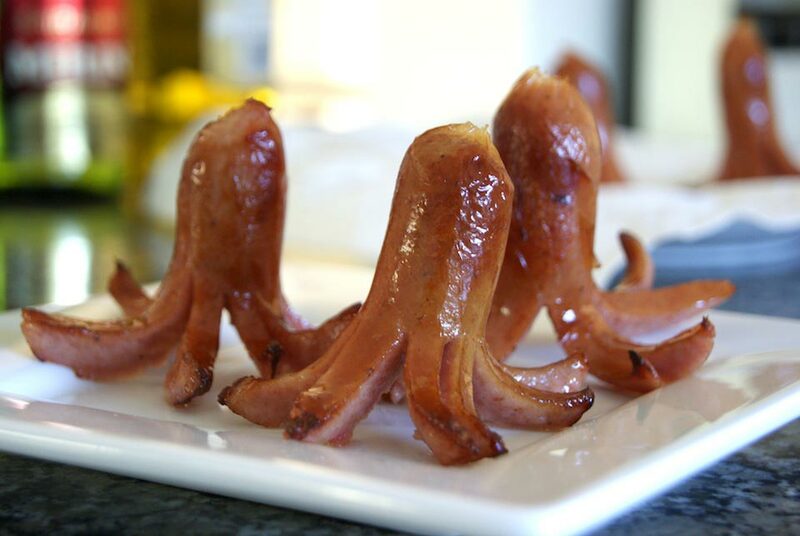 An octodog is a sausage shaped like an octopus. 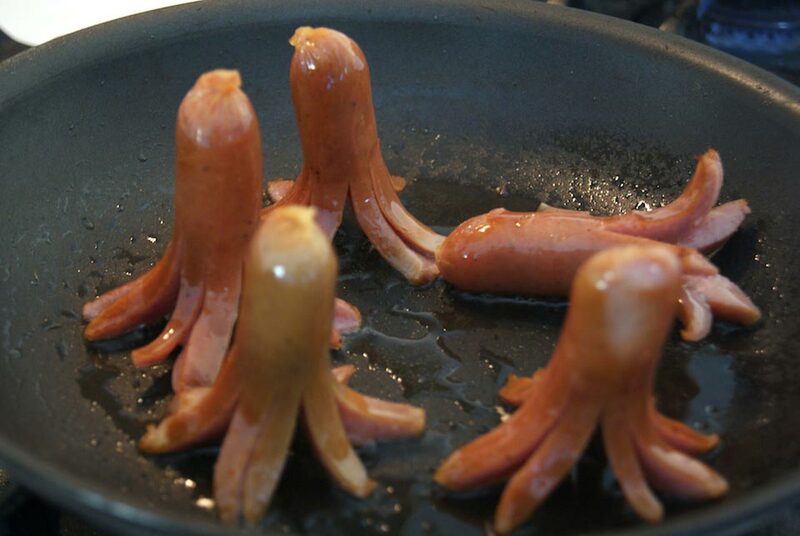 In Japan, octodogs are a must pack item in many children’s bentos. I normally use the Japanese Kurobuta arabiki sausage to make octodogs, but you can use any type of sausage (small or large). 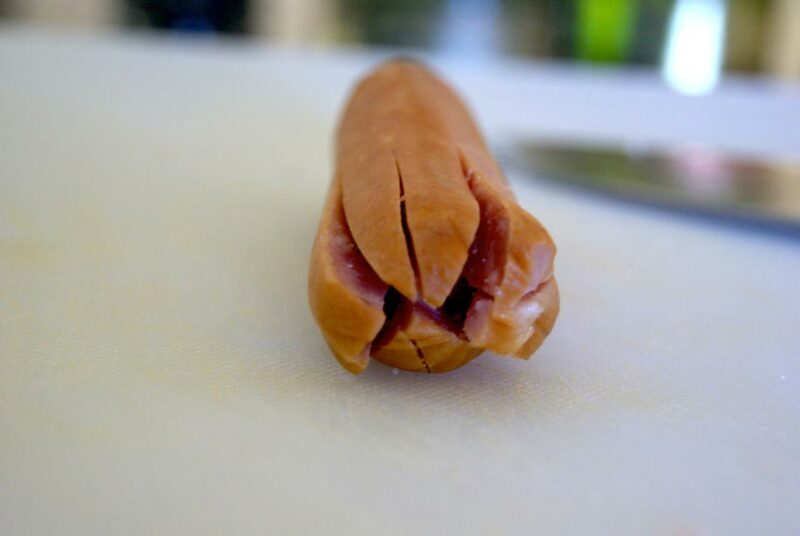 If the sausage is very small, you might have to cut into quarters or sixths. 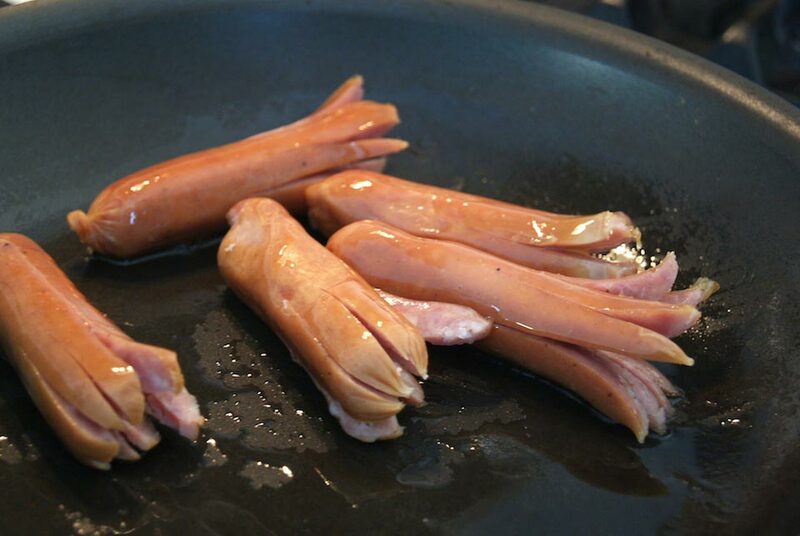 To make the octodogs, cut the bottom half of the sausage into eighths (using vertical cuts). Leave the top half intact. Pan fry the octodogs in hot oil. I’ve never boiled them, but I heard that also works. If you like, you can also decorate them by using black sesame seeds for the eyes. Just use a little bit of honey to hold the eyes in place.